Welcome to our 22nd World Congress on Pediatric cardiology & Heart Failure! We are excited to add all the professionals in the field of Pediatrics, Child Health & Pediatrics Cardiology to our family of conferences. Pediatric Cardiac Care 2019 was created to provide a unique educational opportunity for healthcare professionals caring for high-risk children. When working with this vulnerable population and their families, it’s essential to stay up to date with the latest research and best practice guidelines in the neonatal field. Our goal is to provide more knowledge in this field that will help bridge the gap between established protocols, practices and the rapid growth of new research. Pediatric Cardiac Care 2019 is appropriate for anyone working in the pediatric field, including Pediatricians, Neonatologists, Pediatric Cardiologists, Physicians, Medical and Research Students, Dieticians, Neonatal Nurses, Occupational Therapists, Respiratory Therapists and anyone working with newborn infants or Pediatrics. Pediatric Cardiology is mainly for treating heart problem in children which are done by a pediatric cardiologist. They are specialized in treating and diagnosing the heart problem in children in the children who might need heart surgery, Pediatric Cardiologists work closely with the pediatric heart surgeons to determine the best treatments and interventions on the conditions that affect the heart of the children. 27th International Congress on Cardiology and medical interventions, July 31-August 01, 2019 Chicago, Illinois, USA; 25th International Conference on Cardiovascular and Thoracic Surgery, March 27-28, 2019 Sydney, Australia; 27th International Conference & Exhibition on Cardiology and Cardiovascular Medicine, July 26-27, 2019 Kyoto, Japan; 4th International Conference on Hypertension and Healthcare, July 26-27, 2019 Melbourne, Australia. Heart and blood vessel disease also called as Cardiovascular Disease which includes numerous problems that are related to atherosclerosis it is the condition where the walls of arteries are filled or blocked by a substance called plague, which makes the arteries wider and if blood clot occurs it stops the blood flow and leads to the heart attack or stroke. 4th International Conference on Cardiovascular Medicine and Cardiac Surgery, July 22-23, 2019 London, UK; 28th International Conference on Clinical & Experimental Cardiology Research, April 19-20, 2019 Montreal, Canada; 5th World Heart Congress, April 15 -16, 2019 Amsterdam, Netherlands; 6th Global Experts Meeting on Cardiovascular Pharmacology, July 12-13, 2019 Yokohama, Japan; World Cardiology Experts Meeting, July 22-23, 2019 Kyoto Japan. A heart is the first organ that develops in the unborn baby, the Fetal Cardiologists take care about the health of the heart and checks the condition of the fetal heat without having any complications or affect to the heart that supports the child’s heart health. Annual Congress on Pediatric Cardiology 2019, November 04-05, 2019 Tokyo, Japan; World Pediatric Summits, June 6 - 7, 2019 London, United Kingdom; International Clinical Pediatrics Conferences, June 10-12, 2019 Berlin, Germany; International Pediatric Exhibition 2019, February 2 - 8, 2019 Maui, Hawaii; International Conference on Pediatrics Health, August 12-14, 2019 Rome, Italy; Global Summit on Heart Diseases, April 20-21, 2020 Tokyo, Japan; 5th World Congress on Cardiology and Cardiovascular Therapeutics, August 12-13, 2019 Tokyo, Japan; World Congress on Heart and Pediatric Cardiology, October 28-29, 2019 Tokyo, Japan. Congenital Heart Defect or Congenital Heart Disease is a problem that occurs in the structure of the heart though its cause is unknown but in some cases, it is due to infections like rubella during pregnancy, poor nutrition care or obesity and use of certain medications or drugs like tobacco and alcohol. Its symptoms vary from none to like threatening. Heart surgery in children is done to repair heart defects when a child is born with heart diseases a child needs the surgery. There are many kinds of heart defects. Some are minor, and others are more serious. Some heart defects may need surgery right after the baby is born. For others, the child may be able to safely wait for months or years to have surgery. One surgery may be enough to repair the Heart Defect, but sometimes a series of procedures is needed for the child’s wellbeing. Clinical Research in Pediatric Heart Surgery is under-appreciated and under-funded, yet it has enormous implications for cardiovascular health and healthcare over the entire life-course. Targeted research efforts are more likely to realize potential breakthroughs in areas such as genetic and epigenetic screening, cardio protective strategies, and life-course studies, environmental influences on disease, evidence-based practice guidelines, and more rapid and safer development of drugs. Anesthesia management of low birth weight infants or children undergoing cardiac surgery requires a very high level of control to aim to minimize major deviations in ventilation, arterial pressure control, and blood biochemistry within the limitations of the surgery and anesthesia. It is more difficult to anaesthesiate the child compared to the adults as they require more care and observation. A stroke is occurred due to interruption of normal flow of the blood to the brain either by blockage or rupture of the blood vessel, the age of the child at the time of stroke makes differences how doctor identify and treat the problem. It occurs due to cardiac problems in children during birth. 4th International Conference on Cardiovascular Medicine and Cardiac Surgery, July 22-23, 2019 London, UK; 28th International Conference on Clinical & Experimental Cardiology Research, April 19-20, 2019 Montreal, Canada; 5th World Heart Congress, April 15 -16, 2019 Amsterdam, Netherlands; 6th Global Experts Meeting on Cardiovascular Pharmacology, July 12-13, 2019 Yokohama, Japan; World Cardiology Experts Meeting, July 22-23, 2019 Kyoto Japan; World Congress on Heart and Pediatric Cardiology, October 28-29, 2019 Tokyo, Japan. It is the disease related to heart, which is a rare heart condition that affects the pediatrics and infants. Several different types of Cardiomyopathy are present and symptoms varies from person to person, in some conditions it is the progressive condition that results in impaired ability of heart to pump blood , fatigue, heart block, irregular heart beat and sudden cardiac arrest in some cases there will be presence of no symptoms. Annual Congress on Pediatric Cardiology 2019, November 04-05, 2019 Tokyo, Japan; World Pediatric Summits, June 6 - 7, 2019 London, United Kingdom; International Clinical Pediatrics Conferences, June 10-12, 2019 Berlin, Germany; International Pediatric Exhibition 2019, February 2 - 8, 2019 Maui, Hawaii; International Conference on Pediatrics Health, August 12-14, 2019 Rome, Italy; Global Summit on Heart Diseases, April 20-21, 2020 Tokyo, Japan; 5th World Congress on Cardiology and Cardiovascular Therapeutics, August 12-13, 2019 Tokyo, Japan. Pediatric Cardiomyopathy is a rare heart condition that affects infants and children. Specifically, cardiomyopathy means disease of the heart muscle (myocardium). Several different types of cardiomyopathy exist, and the specific symptoms vary from person to person. In some affected individuals, no symptoms may be present (asymptomatic); in many people, cardiomyopathy is a progressive condition that may result in an impaired ability of the heart to pump blood; fatigue; heart block; irregular heartbeats (tachycardia); and, potentially, heart failure and sudden cardiac death. Cardiac Tumors arise primarily in the inner lining, muscle layer or the surrounding pericardium of the heart. These are mostly benign or malignant neoplasms, they are primary or metastatic primary cardiac tumors are rare in the pediatric practice. The vast of Primary Cardiac Tumors are benign in children and very rare of among 10%are malignant. It is the condition where the change in the heart rate is observed in which the heart rate can be increased or decreased compared to the normal heart rate or even sometimes it skips the beat it is due to the heart defect or external factors involved like fever, anxiety, trauma, and exercise. It is the term used by the cardiologists to describe whose heart does not pump enough blood to the other body parts to meet the body demands for the energy. It may be due to the weak muscle of the heart that cannot pump the normal amount of blood to the body or it may due to the heart pumps well but it is insufficient. Pediatric Cardiac Nursing is the specialized caring unit more observation and cares to be taken by the nursing unit towards the infants, children. Ventricular Assist Device is the mechanical device that used to support heart function and blood flow in people having week heart as like as healthy heart. This device takes blood from a lower chamber of the heart and pumps to all the vital organs of the body, this works when the lower chamber of the heart ventricles doesn’t work properly. Electrophysiology or EPS is a diagnostic procedure that looks more closely at electrical function of your heart which is the most accurate and reliable method of evaluating heart rhythms that helps the physician to determine the way of treating in an easy manner. Cardiothoracic Surgery is the field of medicine involved in surgical treatment of organs inside the thorax generally treatment of conditions of the heart disease and lungs disease. 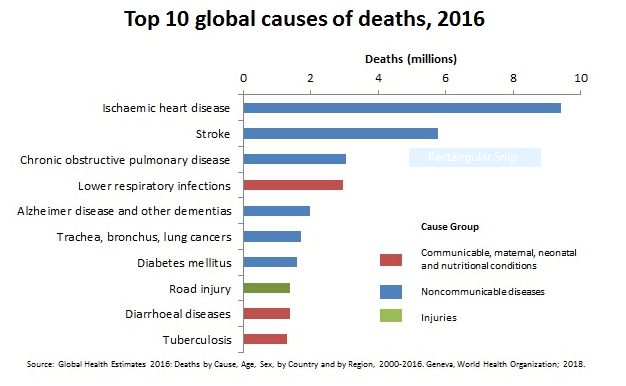 In most of the countries, cardiac surgery involving the heart and the great vessels and general thoracic surgery involving the lungs, esophagus, thymus, etc. To obtain the diagnostic information Catheterization is done which is a specialized procedure conducting using along flexible tube inserted into the body mainly through leg veins guided to the heart for the close look inside the heart functioning it is done for obtaining information with the intent of providing treatment for an abnormality such as congenital heart problem. Heart Transplantation is done when the dysfunction of heart occurs. Pediatrics often require heart transplant because of congenital heart defect or cardiomyopathies. It is an operation where cardiothoracic surgeon replaces the defect heart with a new donor heart. 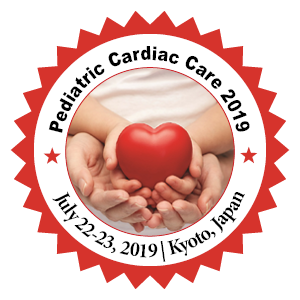 Pediatric Cardiology 2019 welcomes all the presenters, exhibitors and attendees to Kyoto, Japan during July 22-23, 2019. The organising committee is going to conduct an exciting and informative programs includes workshops, lectures, symposia on a wide variety topics, poster presentation and other many more programs are included for the participants across worldwide, It will be having a meaningful and lot of knowledge gaining programs with scholars among worldwide. We invite you to show your presence along with us in The Pediatric Cardiology Conference 2019. Paediatric cardiology deals exclusively with Heart Diseases involving children. It may be surprising for the lay public and even medical fraternity that defects and deviations in the formation of heart forms the commonest congenital malformations. About 8 new-borns out of one thousand live births will have one form of cardiac defects or other, ranging from minor to very complex ones. This would automatically entail fairly bulky health care burden. However it is a paradox that even the best educated are tuned to recognising the existence of cardiac maladies as those afflicting predominantly the adult population. Both the public and private hospitals are readily catering to adult coronary heart diseases, which, albeit being very justifiable sometimes borders on to lucrative economic equations. Neonatologists and general paediatricians’ roles are now on the rise in recognising children with heart problems. An honest third generation paediatrician will readily agree that even a “simple” problem like co arctation of aorta can be easily missed by even the “most experienced” and this unfortunately can result in deaths, many a times with wrong diagnostic labels. Though Paediatric Cardiology has been one of the first paediatric subspecialties to be evolved in paediatrics in the west complete absence of exclusive paediatric cardiology training facilities and immense economic and infrastructural demands and above all extreme scarcity of medical personnel trained exclusively in paediatric cardiology precluded so far any significant growth of this paediatric subspecialty. With members from around the world focused on learning about Pediatrics and Pediatric Cardiology, this is your best opportunity to reach the largest assemblage of participants from the hospitals, Universities, community, etc. This Pediatric Cardiology 2019 will conduct demonstrations, distribute information, meet with current and potential researchers and can gain more knowledge at this 3-day event. World-renowned speakers, the most recent techniques and advancements, tactics, and the newest updates in Pediatric Cardiology field are hallmarks of this conference. 15th International Conference on Pediatrics and Pediatric Cardiology was hosted by the Conference Series LLC Ltd at Paris, France (Holiday Inn Paris- Marne La vallee Noisy-le-grand) during February 19-20, 2018 with the theme “Accentuating Challenges and potential outcomes in Pediatric Cardiology Research”. Pediatric Cardiologists 2018 was moderated by Debadatta Mukhopadhyay (Kolkata Medical College, India). Pediatric Cardiologists 2018 Organizing Committee extends its gratitude and congratulates the Honorable Chairs Jerard Seghatchian (International Consultancy in Blood Components UK), Maria Borentain (Bristol-Myers Squibb, USA), for their preeminent contribution towards smooth functioning of this esteemed event. And also the keynote speakers, Luca Brunelli (University of Nebraska Medical Center, USA), Megan L Ringle (Stanford University School of Medicine, USA), Maria Borentain (Bristol-Myers Squibb, USA) whose support brought this event to its grand success. After the huge optimistic response from scientific fraternity, renowned personalities and the Editorial Board Members of Conference Series Group from across the world. We are pleased to announce the 22nd World Congress on Pediatric Cardiology & Heart Failure 2019 to be held during February 28-March 01, 2019 at Osaka, Japan.